The Future of Brand Content - Contently's Joe Lazauskas breaks down how brands are working and competing with the likes of Buzzfeed to create meaningful, compelling content through brand newsrooms and preparing for the future. The article provides relevant, high-level tips to keep in mind as marketers look to discover their own methodologies for content creation, engagement and optimization. 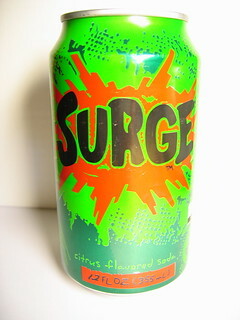 Bringing Back Surge - There's something to be said for a brand that listens to its community, and Coca-Cola hit social media gold when it responded to social media requests to bring back its Surge soda that was discontinued in the late 90's. Claire Suddath of Bloomberg Businessweek looks at the movement of users to bring back this nostalgic favorite. The Debate to be Forgotten - Jefferey Tobin of The New Yorker looks at the implications and challenges that must be overcome when someone wants something removed from the Internet. Tobin looks at the historical and cultural implications that go into the morality of removing content from the Web. There are no easy answers. The piece explores the complexity of the issue and makes the reader wonder what privacy and censorship mean today after all. The Future of the Phone Call - Phone calls have remained the same for a very long time, and the creator of Lotus Notes and former chief software architect at Microsoft Ray Ozzie plans to change that, according to this piece from Steven Levy. Ozzie just launch Talko, an app that records, archives and adds other features to conversations. He asked what the phone would look like if it was built today from scratch. Talko is his answer. Posted in Things I've Learned From Lately and tagged with Things I've Learned From Lately, Brand Content, Contently, Joe Lazauskas, Surge, Coca-Cola, Bloomberg Businessweek, Right to Be Forgotten, The New Yorker, Jefferey Tobin, Phone Call, Ray Ozzie, Talko. September 27, 2014 by Taylor Wiegert.